FRENCH LICK, Ind. 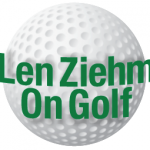 — The Legends Championship tees off at the Pete Dye Course at French Lick Resort this week, and the defending champion is ready. Laurie Rinker arrived at 3 a.m. on Wednesday, in time for a Thursday practice round. She may be a bit on the tired side after enduring a weather delay in Orlando, Fla., but there’s no question her game is in shape. Rinker posted a four-stroke victory in the LPGA Teaching & Club Professionals National Championship on Wednesday on the Palmer Course at Reunion Resort in Florida. “The green speed at Reunion was about seven, so I’ve got to get my touch back here for these faster greens,’’ said Rinker. Rinker posted a 9-under-par 207 over 54 holes for her win at Reunion. 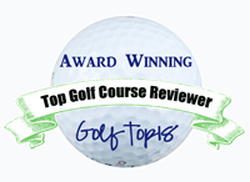 It was highlighted by a final round 65. Golf doesn’t get much better than that. Rinker had a similarly hot round en route to her title at The Legends Championship last year. Runner-up to Canadian Lorie Kane in the tourney’s first staging in 2013, Rinker backed up an opening round 71 with a 66 last year to take the lead. Sherri Steinhauer, posted a second round 63 – the course record, man or woman – to move into contention but steady rain and thick fog forced the cancellation of the final round and Rinker was declared the winner. She won’t have to beat Steinhauer to retain her title, Steinhauer being sidelined with a broken ankle, but Rinker will have to battle the likes of Solheim Cup captain Juli Inkster, recently named World Golf Hall of Famer Dame Laura Davies, Michelle McGann and Jane Geddes. 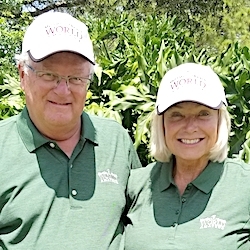 Inkster and Geddes are making their French Lick debuts and McGann is in her first season on The Legends Tour. 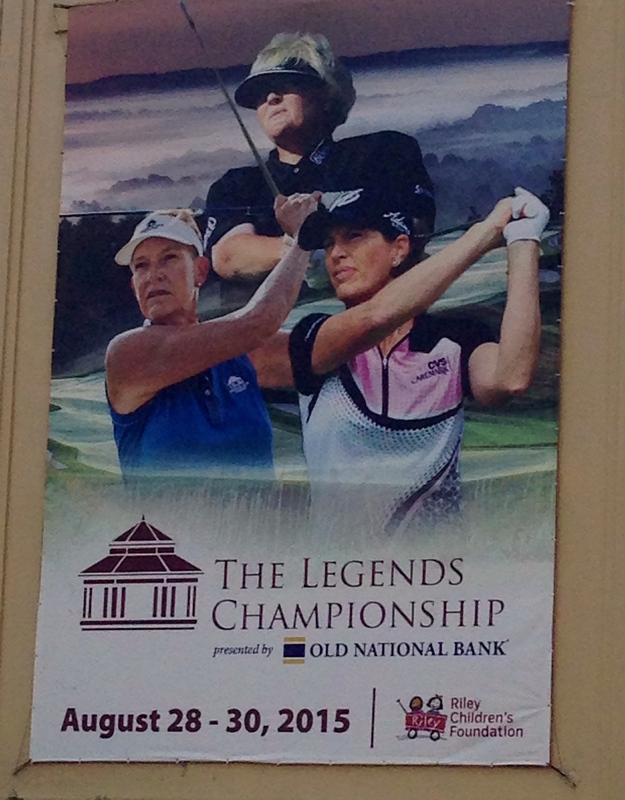 Banners are everywhere in this little southern Indiana town in support of the LPGA Legends Tour. That’s all good news for Jane Blalock, the tour’s executive director who had her own special memories from last year’s tournament. Not only did Blalock win the Super Legends Division for the circuit’s older stars, she was also inducted into the Legends Hall of Fame, which housed at the West Baden Springs Hotel here. That was a career highlight for the woman who got the circuit started in 2000 and has enjoyed its steady growth. 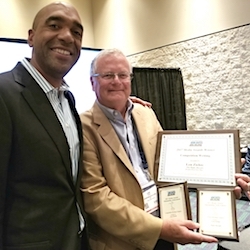 While pleased with The Legends’ growth, Blalock expects even greater things now that the U.S. Golf Assn. has agreed to add a U.S. Women’s Senior Open to its championship schedule in 2018. 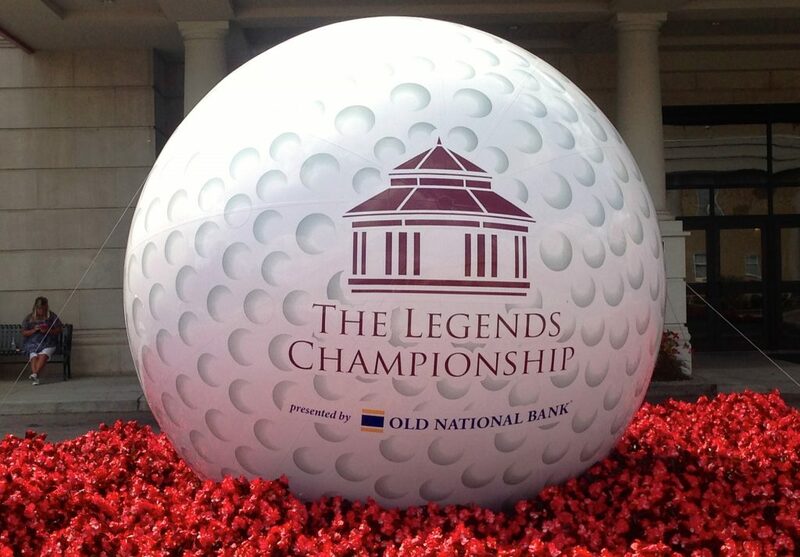 French Lick officials are hoping to host the first championship, and the USGA will have representatives on the premises to check out the possibilities during The Legends Championship. The Legends Championship’s 58-player field was completed on Thursday when Karen Davies, of Scottsdale, Ariz., and Joan Pitcock, of Fresno, Calif., were the survivors of a qualifying round. Davies posted a 71 and Pitcock, who needd two playoff holes to earn her spot in the field, shot 73. Others used the day to practice in beautiful weather on the Dye Course. 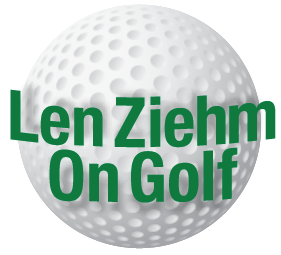 Friday’s schedule calls for pro-ams with shotgun starts at 8 a.m. and 1:30 p.m. and the tournament Gala and Hall of Fame inductions will be held in the evening at a new location, the French Lick Springs Hotel. Rosie Jones and JoAnne Carner will be this year’s inductees.